Dr Michael Kerkloh has been President and CEO of Flughafen München GmbH, Munich Airport’s operating company, since September 2002. He was also appointed president of the German Airports Association (ADV) in 2013. Michael’s aviation career began in 1987 when he joined Frankfurt Airport in charge of operational planning, organisational implementation and the coordination of aircraft handling. 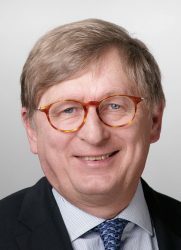 In 1995 Michael was appointed to the management team of Hamburg Airport, and simultaneously served as Chairman of the Supervisory Board of Aviation Handling Services. As well as ADV, Michael is a member of the governing bodies of numerous industry organisations including the Airport Council International, the German Aviation Industry Association (BDL), and the Transportation Committee of the Chamber of Industry and Commerce for Munich and Upper Bavaria. He is also a member of the advisory councils of the German National Tourist Board and the Export Club Bayern e.V.